The game was knotted 2-2 with two outs in the bottom of the sixth inning when No. 9 hitter, sophomore Jose Vasquez, stepped into the batter's box for Estacada. He knew something good was about to happen before he had even swung the bat. "I saw the ball coming right down the strike zone, and I knew that was one I could do something with," he said. Vasquez drilled a two-strike blast that sailed over an outfielder's head and hit the right-field wall with a whack. The double brought across teammate Nate Hagel and Matthew Haefs for the winning runs in the Rangers' 4-2 comeback victory over Stayton on Friday. "It's a great feeling to come through when your team really needs you," Vasquez said. 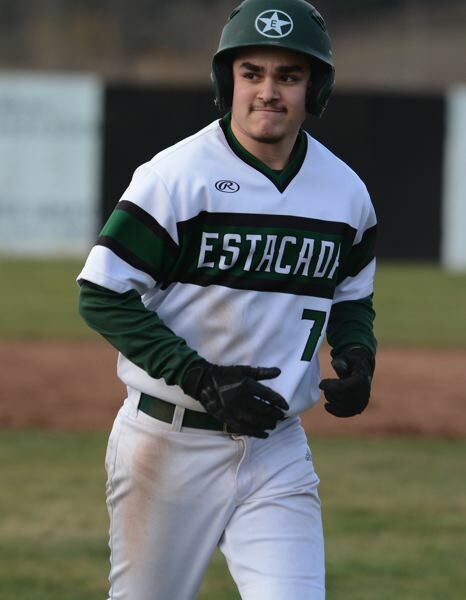 Estacada came into the sixth inning trailing 2-1, but Hagel hit a hopper past two gloves on the left side to put the tying run into scoring position. Three batters later, Haefs stepped in and hammered a ball to deep right field only to see it curve foul. He swung again on the next pitch, clipping the top half of the ball and sending a roller into play that slipped under the third baseman's glove. Kenny Clark got home on the error to tie the score. The Rangers retired the side in order in the seventh to close out the victory. Jesse Hill caught a fly ball in left field to get the lead-off hitter, and Haefs caught a line drive, then gloved a hopper at second base for the final two outs. "I focused on throwing strikes and figured if they swung the bats, the ball had to go to one of our players," reliever Hagel said. "It's our first home game of the season, so we are showing the rest of the league that we can win home and away." Hagel and Vasquez combined to throw the final three innings without surrendering a hit, while Rangers' starter Daniel Hunt struck out four. The teams opened the scoring in the third inning with Stayton getting the first crack. Stayton loaded the bases with two outs after Estacada gave clean-up hitter Tanner Goodman a free pass. Next up, Kaleb Banes smacked a two-run single to center field, but got himself thrown out at second base when Kayden Settle fired a laser back to the infield and Haefs was quick with a relay to Hagel for the tag. "I was just focused on getting the out and killing their momentum," Haefs said. Nick Keller sent a two-strike, two-out homer over the left-field fence to put Estacada on the scoreboard in the bottom of the third. Hagel was 3-for-3 at the plate, while Keller and Vasquez also finished with multiple hits for the Rangers. 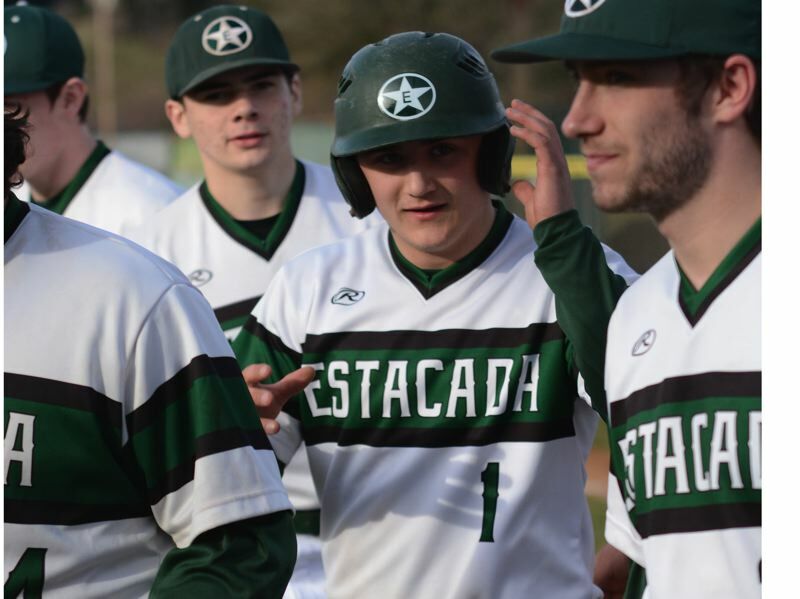 Estacada put up 11 runs in the fifth inning to score a 16-6 mercy-rule win at Colton on Saturday. Hunt went 3-for-3 with five RBIs, while Keller hit 3-for-4 with two doubles. The Rangers come into this week with a 3-1 record, hosting Astoria at 4:30 p.m. Friday before traveling to Newport for a spring break tournament. This story is slated for our March 21, print edition.